Embraced by the serenity of District 19 is the epitome of exquisite home living. The Quinn is a freehold, low-rise condominium that perfectly blends the traditional and the contemporary. 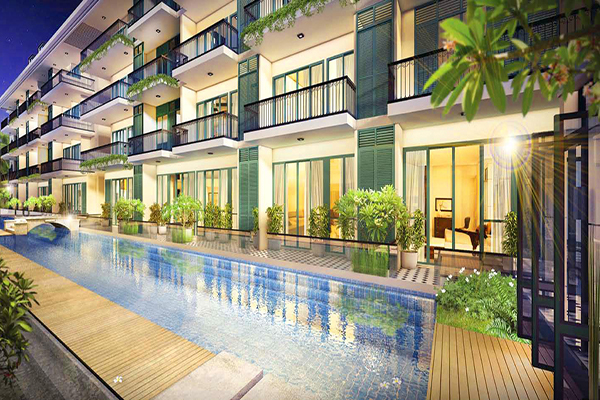 It’s an ideal haven with a captivating French Indochine motif, offering the best of Singaporean suburban life. The development is a project of Top Global Limited, an emergent real estate and lifestyle conglomerate. The residences will be completed by the end of this year, with legal completion slated for the end of 2019. The A-one location is surrounded by nature’s tranquility, yet within easy reach of all the modern comforts. 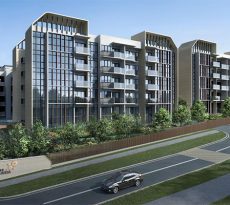 The 7,083-square metre parcel occupies the 9th, 11th, 13th and 15th lots of Bartley Road, next to Bidadari New Town. The site is also halfway between the Serangoon, Woodleigh, and Bartley Stations. Serangoon Station is a hub for the North-East and Circle lines, while Bartley is just 3 stops from the Paya Lebar Interchange for the Circle and East-West lines. Furthermore, Bartley Road meets up with four expressways, namely the CTE, PIE, KPE and TPE. It will only take you fifteen minutes to drive to the CBD. The Quinn is an assemblage of apartments a la French Indochine. Four 5-storey blocks yield 139 residential units in all. The architecture is sleek and highly modern, with rustic touches reminiscent of colonial times. The development reflects the romantic charm of French colonial design and the subtle magic of the Orient, all updated for the twenty-first century. The mansard roofs, symmetrical layouts, and casement windows give off a classic European flair, especially as they are combined with those arched doorways, decorative railings and pilasters. At the same time, the impeccable facade, glass panels and the geometric accents are unmistakably contemporary. The tasteful visual harmony gives off a refined, quiet dignity, befitting even society’s most elite. Each unit will also come pre-furnished with lavish accoutrements corresponding to the overall design, including a built-in signature refrigerator by Smeg. If you favor things that are truly classy but within your means, you’ll feel right at home. Of course, “home” won’t just be limited to your apartment unit, as residents will have the privilege of enjoying the condo amenities. Certain units even seamlessly open out into the pool area. The pool area itself is made up of a Serenity Pool / Lap Pool, a Serenity Bridge, the Petite Bath (kiddie pool), the Terrace (timber deck), Lily Bay / pond), and The Gazebo (pavilion). For your pleasure, there will also be a number of courtyards, pockets of turfing, and some rooftop Jacuzzis. To top things off are more communal areas such as La Chateau (clubhouse), La Grille (BBQ area), Petite Play (playground), a main lobby and a drop off area. Naturally, the development comes with basement parking, with 141 spaces plus 3 handicap-accessible ones. 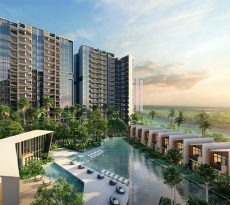 The Quinn is also very near to several schools, including St. Gabriel’s Secondary School, St. Andrew’s, Paya Lebar Methodist Girls’ School, Stamford American International School, and The Australian International School. There are shopping malls in the area too, such as NEX Mega Mall and Serangoon Shopping Centre. As so, shops, restaurants and others are just a short distance away. 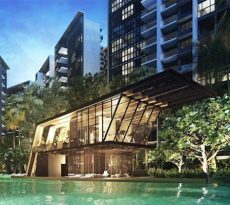 Even more lifestyle and commercial destinations will be introduced into the area soon, with the coming Bidadari Town and Paya Lebar Central. Indeed, embodying the French Indochine concept with a modern twist, The Quinn is chic, stylish, and truly exquisite. Above all, it’s very accessible, not to mention quite affordable. With wise financial planning, you can buy a luxurious home at this ideal address. Foreigners are welcome to make a purchase as well. And if you’re interested, do go ahead and give iCompareLoan mortgage broker a call. They’ll give you very good financial advice, and even assist you as you compare home loan Singapore.